We'll find the magic & love - whereever you are. Hello, welcome! Thank you for visiting! I love fabulous weddings and there's little I adore most than being invited to photograph your special day with my natural, relaxed & yet emotive documentary style. My style is all about capturing your unique day as it actually happens - creating genuine, storytelling images crammed full of love, laughs & emotion without getting in the way or needing awkward & cheesy poses. I'm based near Norwich in Norfolk but am always happy to travel. If this sounds like something you'd like to find out more about, please have a look around my website and I'd love to hear more about your day over a coffee (or tea!). More Weddings on the Blog! 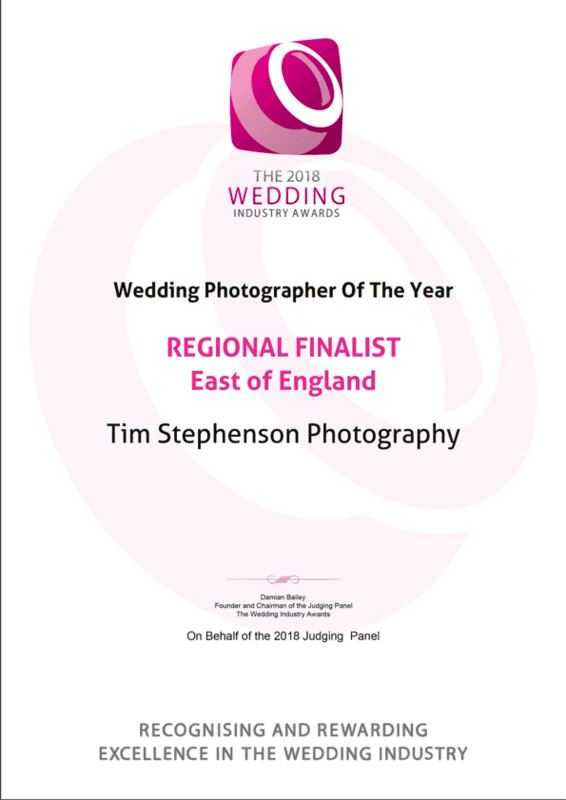 Where to start with Tim Stephenson Photography! First of he is the nicest guy you will ever meet! As for his work and hours he puts in its exceptional! All that time ago when we first met Tim we knew he was going to be the person photographing our wedding. We followed his work for a long time and realised he had done a wedding or two we was attending and we recommended him to some close friends and everything he had done was out of this world! Then it was our turn we opted for a engagement shoot and being the least photogenic people, thought this was a good option to settle any nerves. We also turned up with a dog and horse and this was never a problem for Tim and absolutely smashed it with the pictures we got from that day. As for the wedding day the weather was NOT on our side but Tim went above and beyond to make sure we got what we wanted and was so calm and reassuring throughout the day and also before the wedding. We honestly can’t thank you enough and we can’t wait to see the photos. Thank you so much for our amazing photos! We enjoyed every second, and we're so pleased to have had you there with us, as you made everything so easy and relaxed. You captured our day beautifully and with every special moment filled with personality! We love all of them, including the stunning slideshow, which made me shed several happy tears (! ), because of the way you touched on the fun, delicate and incredible moments, which mean more than words can explain. We had the most magical day! Our day was captured from start to finish by the wonderful Tim Stephenson. He is an extremely talented photographer who went above and beyond our expectations. We owe him everything as he captured every pivotal moment with sensitivity. He is a photographic genius with an eye for detail. Friendly and professional, we would recommend that everyone should book Tim for their wedding. I can’t fault Tim Stephenson Photography for any element of their business, skill, professionalism, communication, personality or indeed the end result, the images we received from our wedding day. Tim is incredible at his job and we are so thankful that we chose him to photograph our big day! Fearless Photographers is a directory of the world's best wedding photographers who are not afraid to push the limits of professional wedding photography to surprise you with extraordinary wedding photos of your wedding day. 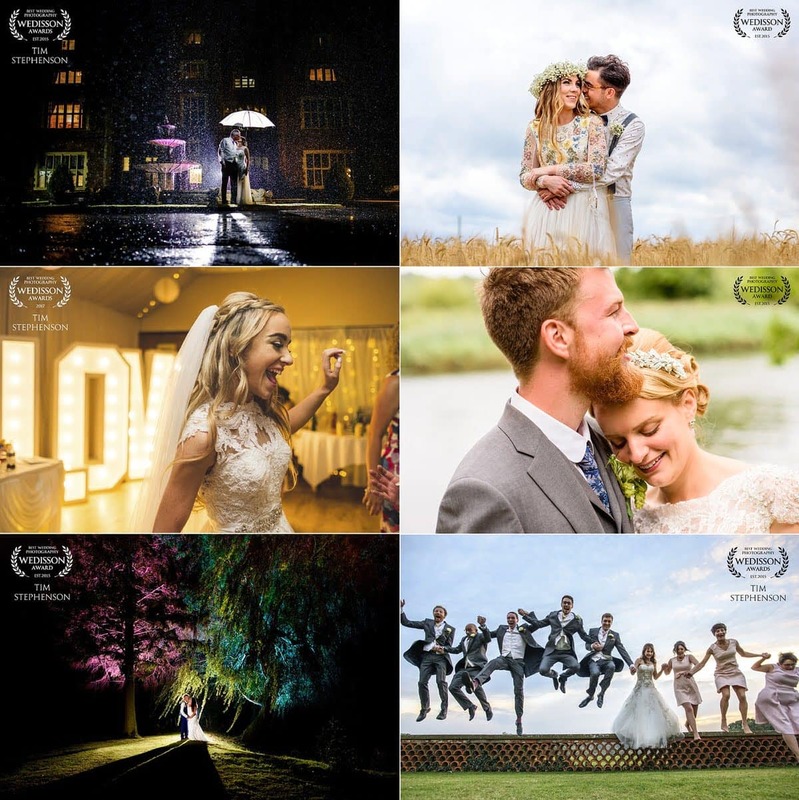 Wedisson is an international wedding photography contest that held every month, providing creative, outstanding, inspirational and artistic wedding photography. Less than 5% of submitted photographs are selected and to date I'm delighted to have collected awards in Collections 18, 20, 22, 23, 29, 32. The Wedding Industry Awards are highly regarded within the Wedding industry as unlike many other schemes, only couples who have directly worked with companies are able to vote. Placing in the Finals is entirely down to receiving consistently high votes from wonderful clients - and reaching the Regional Finals in the last 3 years' awards is nothing short of amazing! Questions? Fancy checking your date? I'd love to hear more about your day!